After bringing Mini-ITX into mainstream DIY (do it yourself) market in 2009 with the Sugo SG05, Silverstone is looking to define the category again with SG13, a newly evolved design that aims to satisfy every type of computer users. 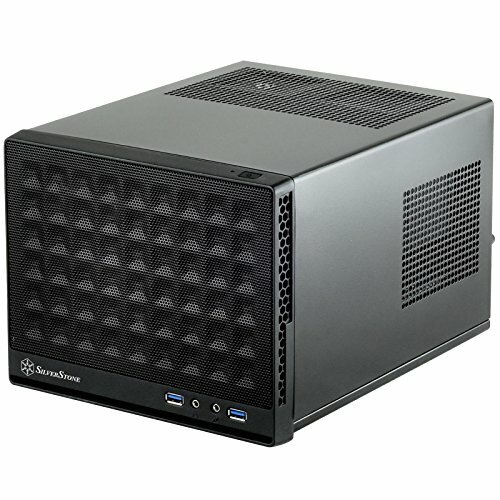 At only 11.5 liters in size, it has suitably small statue for easily integrating into numerous computing environments and will comfortably fit many standard components for general purpose or office builds. For enthusiasts and in keeping with Sugo series' famed tradition, the SG13's ability to fit 10.5" long expansion card, standard ATX power supply, and all-in-one liquid cooler in 120mm or 140mm size will help produce amazingly small and powerful systems. If you have any questions about this product by SilverStone Technology, contact us by completing and submitting the form below. If you are looking for a specif part number, please include it with your message.